Every Month we memorize a powerful chapter of scripture from the Holy Word of God, the Bible. 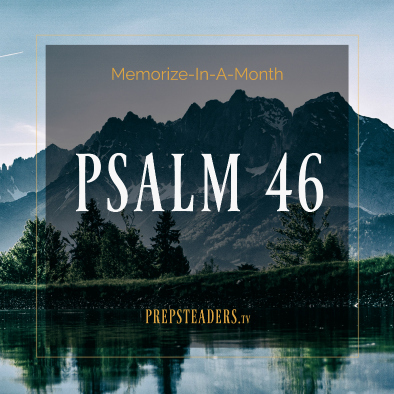 For this month we’re learning PSALM 46 (from the English Standard Version). Memorize it with us, and once you have it, we would love for you to record a video of yourself reciting it and post it below or send it to us! Hearing and seeing each other learn scripture together helps it sink deeper into our spirits. There is no better way to possibly prepare for the days to come! Help us continue to make great videos by entering Amazon through here! (They will reward us with a few pennies from what you spend over there). Special thanks to ChristosFilms.com for directing & editing our videos!